Tommy Berry has given Japanese visitor Kluger a work-out at Canterbury ahead of the Doncaster Mile. Japanese visitor Kluger will start from gate four in the $3 million Doncaster Mile, a barrier that has his trainer Tomokazu Takano happy and relieved. 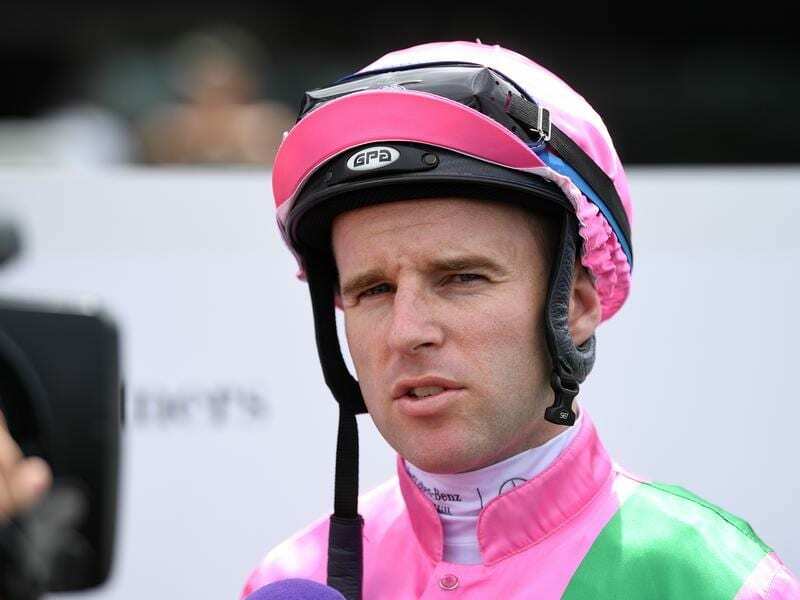 Takano said he did not want a wide gate for the seven-year-old who was given a work-out at Canterbury on Tuesday morning by race jockey Tommy Berry. Kluger has been housed at the racetrack which has been turned into a quarantine facility for him, He’s Eminent and Godolphin’s Dubhe and D’Bai. “I’m very happy with the draw,” Takano said through an interpreter. Takano said Berry gave Kluger a solid gallop, building up the pressure over the final 200 metres. “He had his main gallop over 1400 metres on the course proper this morning,” he said. “He built up the pace and was a lot sharper over the last 200. “He’ll just have a bit of a walk tomorrow and then they’ll monitor him there ’till Saturday just to keep ticking over. Takano has no concerns about the prospect of a rain-affected track. “We thought the grass here would suit him better than in Japan,” he said. While Kluger is the only overseas runner in the Doncaster, the famous race has an international flavour with ex-pats Michael Rodd, BenThompson and Glen Boss flying in from Singapore to ride along with Hong Kong-based South African Karis Teetan. Boss will be aboard three-year-old Brutal who was the last horse to make the field of 20 with four emergencies also declared. The winner of six Doncasters, Boss will ride the Hawkes Racing-trained colt at 49kg from barrier 21 with Thompson riding Lindsay Park filly Fundamentalist at the same weight. Newcastle jockey Andrew Gibbons rides Group One winner El Dorado Dreaming, the other runner on 49kg. Rodd rides the Peter and Paul Snowden-trained Land Of Plenty who has barrier nine while Teetan, who is running second on the Hong Kong premiership to Zac Purton, is on the Chris Waller-trained I Am Serious who has the inside alley.